← BREAKING: PEYTON WILL WEAR A JERSEY! I’m really sad about Tolbert. 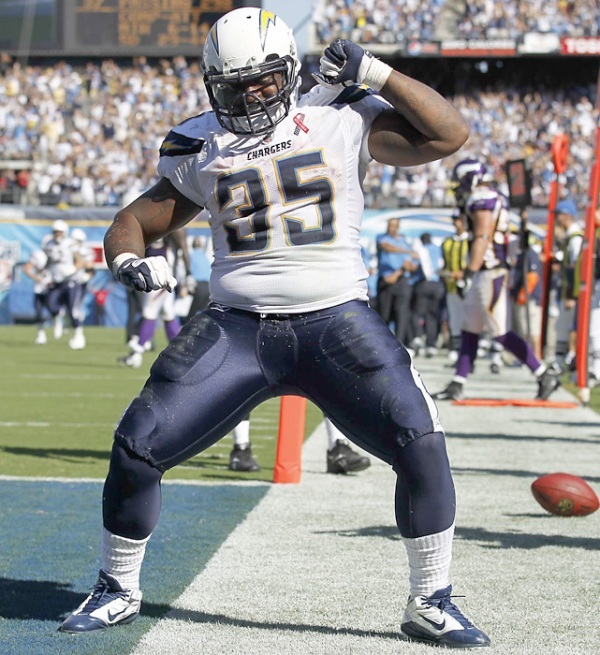 He was one of my favorite Chargers. Such a fun dude. 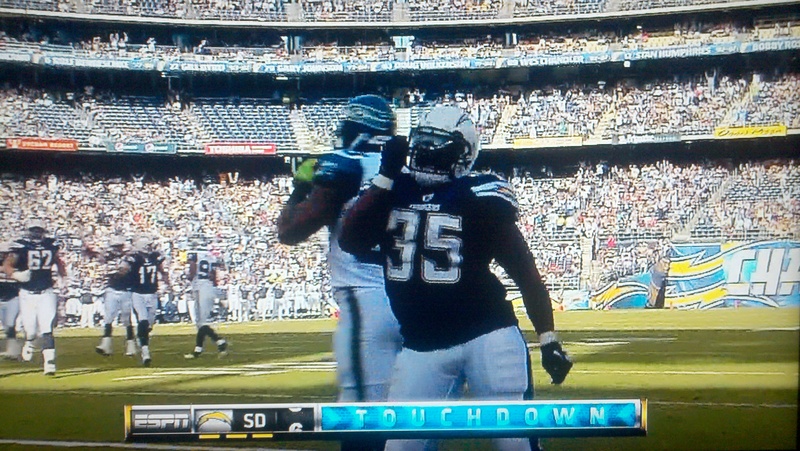 Incredible end zone dances… a fantastic compliment to Ryan Mathews. I was pretty shocked to hear that he actually accepted an offer that was about $1 million less than what the Chargers offered him. Panthers 1, Chargers 0. 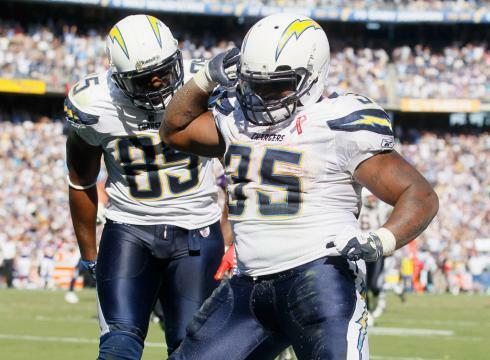 Remember that feeling you had in your stomach when the Bolts didn’t re-sign Michael Turner? You just knew he was going to go on and be a total badass for a few years. Well, I don’t have that exact same feeling for Tolbert, as Burner was better than he is… but as a player… I will miss him more. For his sake, I hope he kills it with the Panthers. Then, when he’s done there, I hope you go on Dancing with the Stars. I’m gonna miss you Kool-Aid Man. This entry was posted in Football, NFL, Uncategorized and tagged Chargers, mike tolbert, mike tolbert dances, mike tolbert panthers, mike tolbert td celebration dance, panthers. Bookmark the permalink.